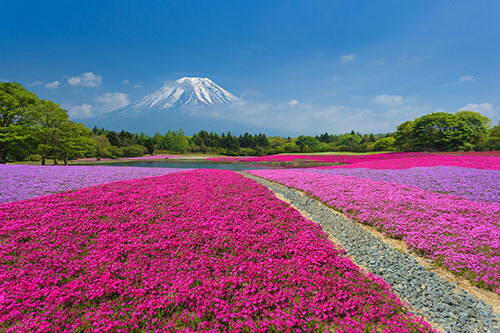 Japan stretches approximately 20 degrees of latitude, from 25 degN to 45 degN, and approximately 23 degrees of longitude, from 122 degE to 145 degE, the climate varies widely from one region to region. Japan has four distinct seasons. Spring months are March, April, and May. Summer months are June, July, and August. Autumn months are September, October, and November. Winter months are December, January, and February. Summer is hot and humid in general. During the winter, it snows a lot on the Sea of Japan side, and it is dry on the Pacific Ocean side. 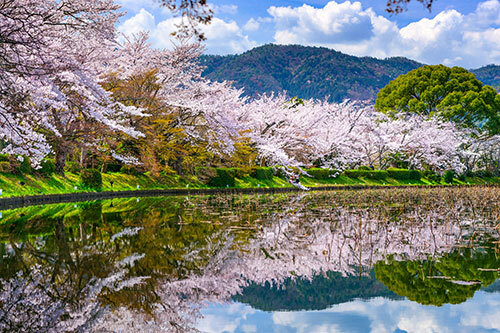 Japan belongs to the temperate zone with four distinct seasons, but its climate varies from cool temperate in the north to subtropical in the south. The climate is also affected by the seasonal winds that blow from the continent to the ocean in winters and vice versa in summers. Japan is generally a rainy country with high humidity. Japan's rainy season lasts about 40 days during the months of June and July. Also, August to October is the typhoon season in Japan. It's important to check the weather often during the typhoon season. Japan has rainfall averaging 1,700-1,800 millimetres per year. Is the largest mountain in Japan towering an impressive 3,776 metres above sea level. Mount Fuji is a huge tourist attraction in Japan. Universal Studios in Japan is a massive 60 hectare theme park located in Osaka, additionally you can visit Disneyland in Tokyo. Great destination to take the children. Kyoto was Japan’s capital city for over 1000 years. You will notice the Zen rock garden of Ryoanji, the medieval Nijo Castle, the Gion geisha district and the Kiyomizu Temple. To receive an insight into old Tokyo visit Shitamachi and Asakusa-Kannon temple which provide a majestic view into japan vast history. Is the founding city of the medieval feudal government offering historical sites such as Hachimangu Shrine, the giant bronze Buddha and the Enoshima Island. Offers a profusion of excellent restaurants as well as the Osaka castle. Osaka is also renowned for is vibrant nightlife in Umeda and Nanba districts. You will find a 57 metre large wooden structure located in Nara as well as the 7th century Horyuji temple which is the oldest wooden structure in the world. The Yokohama Hakkeijima Sea Paradise is a 3 story aquarium offering an underwater tube allowing visitors to view over 100 000 sea mammals, fish, aquatic invertebrates and crustaceans. Is open to the public on the 1st of January and the 23rd of December (emperor’s birthday), whilst the East Gardens (Higashi Gyoen) is open all year. Home to the Itsukushima Shrine as well as the cable car that travel up the mountain for majestic views. Dogo Spa is the oldest spa in Japan and provides a fantastic insight in the heritage of Japan, additionally visit and relax at Ibusuki Spa on the southern tip of Kyushu which is renowned for is Hot springs and hot sand saunas. The Japanese Alps provide great skiing for the immediate and experience skiers. Hokkaido offers hot springs in their resorts. If you have your ski legs in summer you can grass ski at Gokase highland which is locate at the most southern ski slope in Japan. Is very popular in the cherry blossom season is April and May as well as later in the year in October and November. There are numerous tracks and paths through Tokyo to get a better perspective of the capital city. The unspoilt landscape of Sado Island is the heritage of the Kodo Drummers known as the samurai percussionists. The best time to whale and dolphin watch is between January and March. There are plenty of tour operators that are well experienced in locating these fascinating mammals. Ginza is one of the best shopping areas in Tokyo and is a must see destination when travelling in Japan especially to travellers needing some retail therapy. 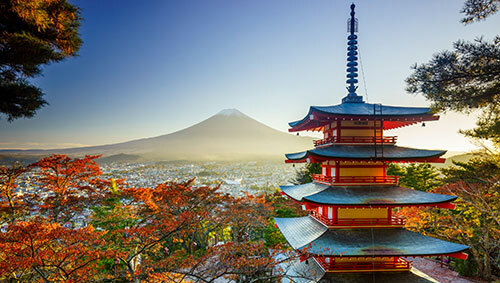 Japan is renowned for its martial arts offering sumo and judo which are national sports of Japan. These tournaments draw massive crowds. Other sports included kendo and fencing. Ueno Park is located in Tokyo whilst Maruyama Park is located in Kyoto. Both parks offer spontaneous cherry blossom parties in April and May. Great opportunity to get your drinking shoes on and experience some Japanese culture. Football has taken off in Japan in recent years with the introduction of the Japanese soccer J-League as well as their participation in the world Cup. Japans traditional puppet theatre entertainment is a great insight to japans vast culture, other forms of theatre are ‘Can Noh’ and ‘Kabuki’ where actors dress in medieval outfits. Golf courses in and around Tokyo are considered to be the most challenging in the world. Be careful to book in advance, however, membership or an invitation is sometimes required. Is a street parade with plenty of costumes and participants carrying portable shrines. 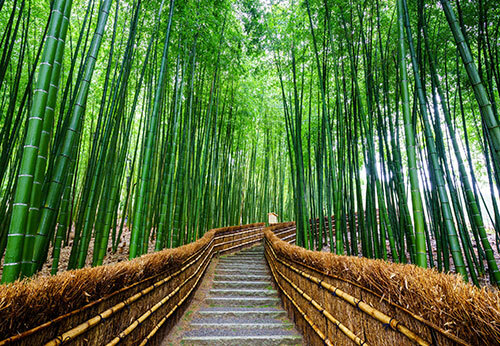 The festival is located in Kyoto and takes place in July. To discover clubs, bars and geisha tea houses you will need to visit Akasaka and Roppongi. For people looking for a bit faster atmosphere you might want to touch base in Harajuku and Shibuya. Exercise common sense and look out for suspicious behaviour, as you would in Australia. Note: Remember to register with Smart Traveller before travelling overseas.